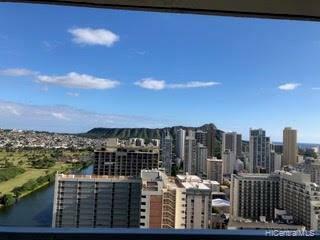 Bargain price on this desirable and rarely available high floor Diamond Head side "studio" unit (not lodging). Upgraded with granite counter tops, enlarged kitchen with additional cabinets and counter space. Built-in cooktop. Panoramic views of Ocean, Mountains, Coastline, Golf Course, Canal, Sunrise & Night lights. 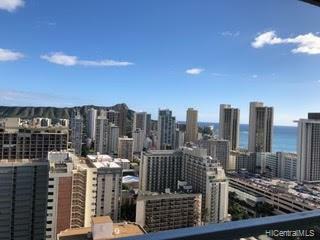 Conveniently located in the "Heart" of Waikiki. Extra large lanai/patio is like having an extra room and great for indoor/outdoor "Island Style" living. Upgraded amenities including spacious 6th floor recreation deck, pool/Jacuzzi, sauna, BBQ area, surf racks, laundry room and 24/7 security. Separate fee for parking for rent hourly/daily/monthly. 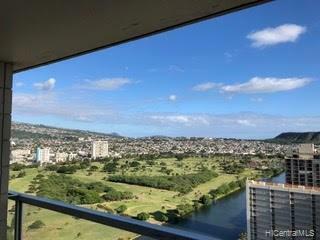 Listings provided courtesy of First Hawaiian Realty. Based on information from the Multiple Listing Service of HiCentral MLS, Ltd. 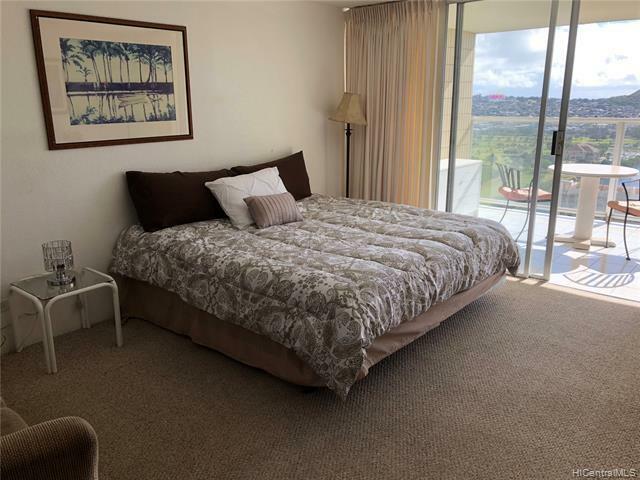 Listings last updated on 2019-04-23T12:58:45.147. Information is deemed reliable but not guaranteed. Copyright: 2019 by HiCentral MLS, Ltd.